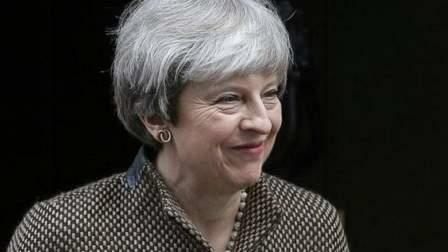 Prime Minister Theresa May left London late Tuesday for a three-day visit to the Middle East, where she will meet Saudi and Jordanian leaders in a bid to bolster regional ties. The British leader will hold talks on issues including Qatar and Yemen with Saudi Arabia's Crown Prince Mohammed bin Salman, before heading to Jordan for meetings with King Abdullah II and Prime Minister Hani Mulki. "This visit demonstrates that as the UK leaves the EU we are determined to forge a bold, confident future for ourselves in the world, a spokesman for May said. "It is clearly in the UK's security interests to support Jordan and Saudi Arabia in tackling regional challenges to create a more stable region, and in delivering their ambitious reform programmes to ensure their own stability," he added. May, embattled domestically after losing her parliamentary majority in a snap election over the summer and facing division over Brexit, visited both countries in April. In Saudi Arabia, she is expected to reiterate her support for the kingdom's fledgling social reform programme, which saw an end to the infamous ban on women driving last September.